I attended the Byam Shaw School of Drawing and Painting in London, intending to study calligraphy but marriage and four children intervened. 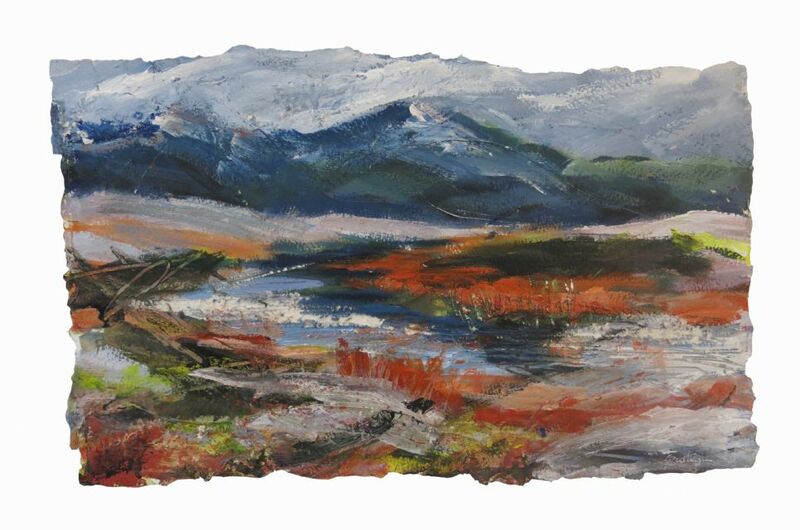 Moving to Wester Ross in 1986 I found this stunning scenery was overwhelmingly compelling, I had to paint, and in order to learn to paint “my scenery” I started the North West Highlands Art courses, at our home in Kishorn. These have attracted tutors of international renown and students from all over the world, many returning again and again. I work in a variety of media and techniques including watercolour, acrylic, collage and mixed media. I find mixed media the most exciting way to express the emotions that the Highland scenery evokes. Living beside the sea with hills rising to almost 3000 feet on the other side of the loch there is a never ending challenge and source of inspiration. 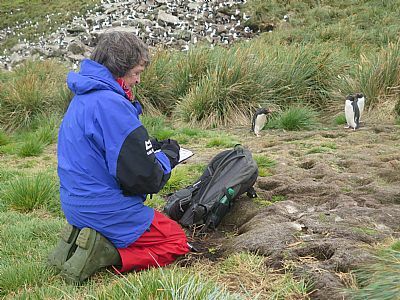 Walking the hills and sea shore in all weathers, I prefer to paint on site, even carrying waterproof paper with me. I work fast trying to capture the changing moments, the strength, grandeur and excitement of this amazing landscape. I am often asked why my pictures have ragged edges. One day when I was out painting I found I only had a torn piece of paper left so had to use it. It was a Eureka moment! I never realized how constricted I had been by straight edges. Now I could go anywhere, add on, take away - do anything I liked. I was no longer looking through a window. The landscape has no edges, it goes on and on, and so can I. When no art courses are taking place I exhibit in the teaching studio at my home in Kishorn.